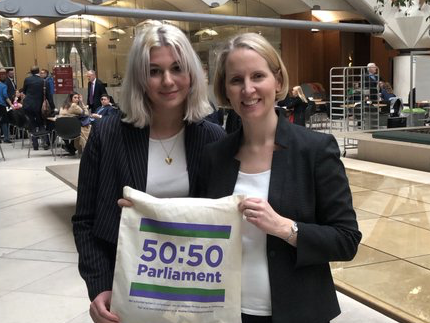 Youth MP joins Westminster MP for day in ParliamentOn November 21st, Millie Betteridge set her alarm for 430am to catch a 6:05 train from Wolverhampton to London. She’s not sure how many of her fellow students would have got up so early to spend a day with their MP in Parliament, but she was determined to swap school life for a taste of politics. Millie says the day helped her think more deeply about a career in politics after she finishes with Youth Parliament (age of representatives is 11-18). After school she plans to study psychology, but was also impressed by how much impact you can have as an MP. Millie plans to head back to school and her GCSE studies and to tell her fellow students about her day in Parliament. She will also share her experiences with her fellow Youth MPs. But they are already way ahead of the House of Commons when it comes to diversity. “It’s a lot more diverse than parliament at present,” says Millie, “close to 50:50.” In fact of the 300-plus Youth MPs in England, some 52% are female and 32% are from Black and Minority Ethnic backgrounds. The future is looking bright.